As a pre-eminent economist and prominent government participant, Semei Nyanzi was a powerful voice for reform in postcolonial Uganda. His role in shaping Ugandan state institutions was rooted in an experience at Edinburgh, where he was a distinguished student leader. Born around 1931 in Kitgum District in northern Uganda, (Mugisha, 2012) Nyanzi excelled in his secondary education and earned a scholarship to study an M.A in Economics at the University of Edinburgh (Nyeko-Jones, 2011). His time at the University was notable for his extensive involvement in the organisation of student societies and unions. In his time here he led at least two student organisations, as head of the African Student’s Association and president of the Labour Club (Nyeko-Jones, 1960). 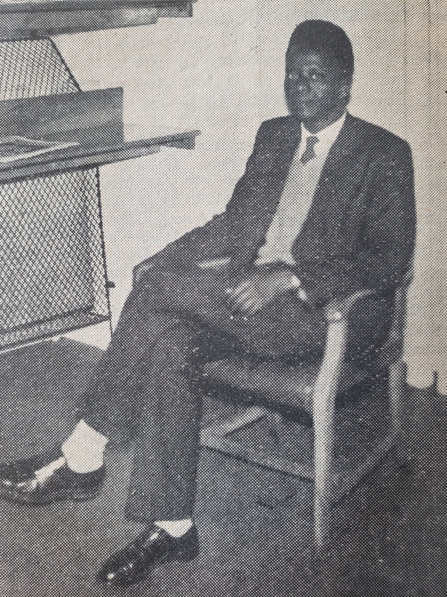 Nyanzi’s voice in the student political sphere was so influential that in 1960 he was one of five students asked to sit on a special union committee, asked to advise on the reformation of the electoral process for union elections (Nyeko-Jones, 1960). His work on the committee, which encouraged more accessible and increased contact between electors and representatives, helped to establish the beginnings of the electoral process that Edinburgh students enjoy today. That generous spirit didn’t stop him from vocalising a dull view of his apathetic British contemporaries however, who he once described as “an unsatisfactory lot of people”, only interested in passing exams (The Student, 1959). His great ability and exhaustive list of achievements led him to a position at the heart of Africa’s intellectual networks when he returned to Uganda after graduating. In Uganda he quickly rose to become the countries leading economist, taking over the chairmanship of the Uganda Development Cooperation in 1964, a government agency that 12 worked to promote the industrial development of Uganda (Mugisha, 2012). Remaining at its head for nearly 15 years Nyanzi oversaw the nationalisation of a multitude of colonial era companies including mines, manufactories and hotels (Lam-Kilama, 2011). His management of 13 the UDC, which saw the net worth of its assets rise to $43,000,000 (Nyanzi, 1982) was a model copied by many newly independent Commonwealth countries (Mugisha, 2012). His patient leadership style was praised by those who worked close to him, a chief executive of the UDC said that he “had the gift of listening” (Mugisha, 2012). His chairmanship ended in 1975 when Idi Amin’s government came to power and imprisoned him in the first wave of purges that heralded the horrendous political repression to come (Mugisha, 2012). On release he escaped to the Britain and during his subsequent four year exile, Amin’s government steadily dismantled the UDC in favour of investment in prestige projects (Nyanzi, 1982). Nyanzi was invited to return to Uganda by interim President Yusuf Lule when Amin’s regime was ousted in 1979. He did so and became a key member of the Uganda National Liberation Front under Lule, serving as the second chair of the Moshi conference that sought to establish democratic structures (Lam-Kilama, 2011). When Lule’s government collapsed only months later Nyanzi resumed his life in the U.K, taking up a research fellowship at the University of Sussex in the Institute of Development Studies, later becoming a Professor of Economics there. He also became a UN consultant on development where he advocated for global investment in state enterprises and national development cooperations like the one he headed in Uganda (Nyanzi, 1982). 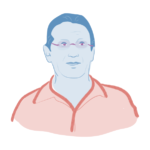 In both his student and professional life he achieved ambitious reform of key institutions, all with a focus on transforming them into more transparent and fairer organisations. Tirelessly enthusiastic about the potential of decolonised and globally connected African nations, he was never far from decision-making in Ugandan politics in the 1960s. Mugisha, A, 2012. Semei Nyanzi’s influence on Uganda’s economy, Daily Monitor, [http://www.monitor.co.ug/Business/Prosper/Semei-Nyanzi-s-influence-on-Uganda-s- economy/688616-1533642-wgw8nz/index.html], accessed 14/09/18. Nyeko-Jones, J, 2011. The Silent Sunset: A Daughter’s Memoir, Author House UK. Nyeko-Jones, J, 1960. The Silent Sunset, The Student, 18/20/1960, p3. Lam-Kilama, P, 2011. Semei Nyanzi Was One of The Unsung Heroes of Uganda, Ugandans At Heart, [https://ugandansatheart.wordpress.com/2011/02/25/semei-nyanzi-was-one-of-the- unsung-heroes-of-uganda/], accessed 14/09/18. Nyanzi, S, 1982. The Role of State Enterprises in African Development with special reference to the Uganda Development Corporation, No. 94, ISS Occasional Papers. Erasmus University Rotterdam.